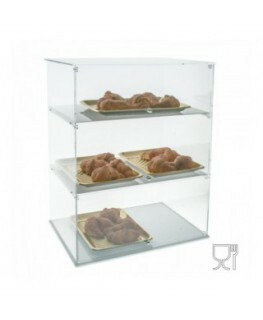 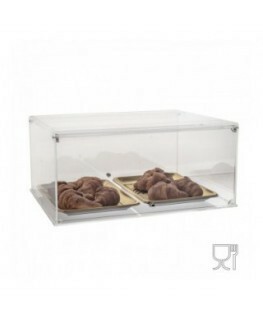 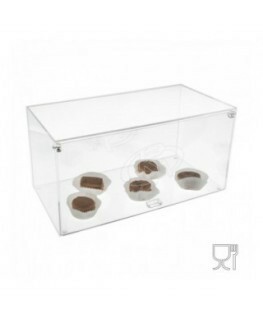 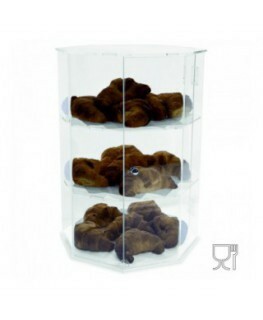 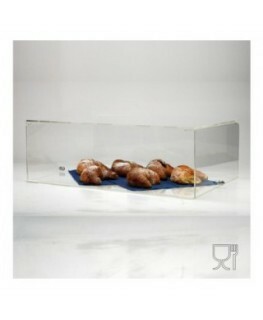 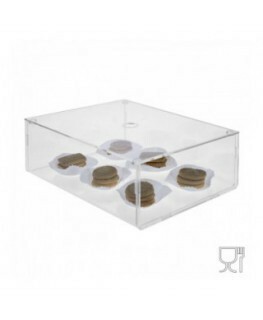 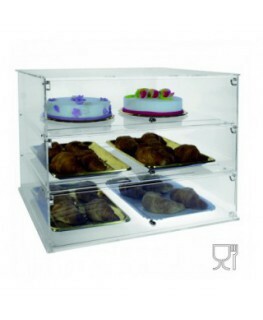 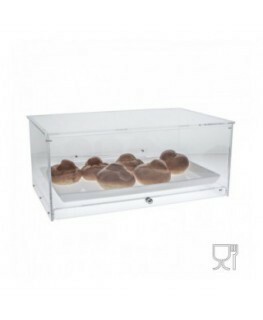 Display case with 2 compartments and front door. 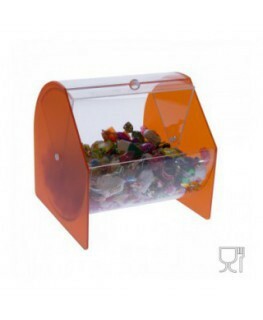 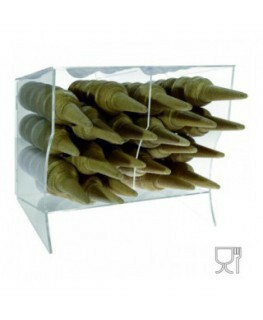 This two-compartment bin is suitable for candies, biscuits, waffles, sugar and tea sachets, etc. 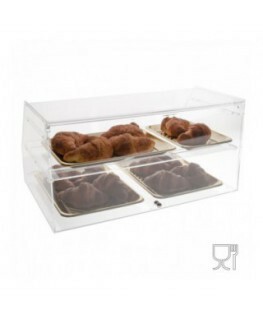 The front flap protects food from external agents and ensures data integrity. 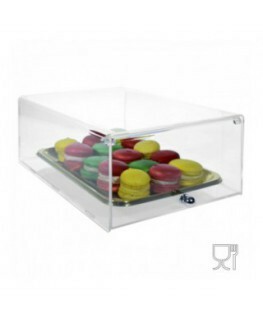 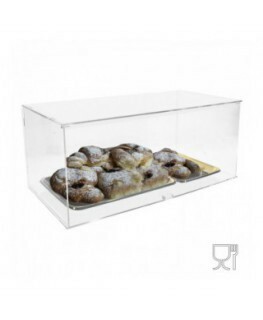 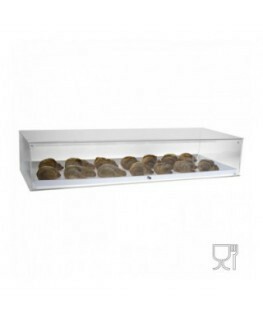 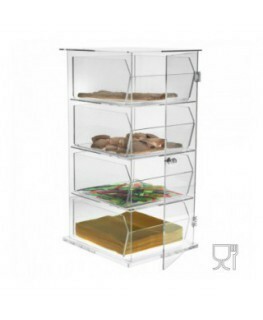 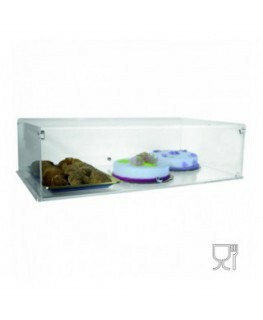 Made out of clear plastic, which allows customers to see the products, the display case is resistant to scratches and easy to clean.